Taking a flight can be quite a tedious experience; even a short-haul journey can leave you restless and bored. The glorious slim food trolley, manned by two flight attendants in smart outfits and neck ties of the airlines colours, is something most passengers look forward to. It’s a chance for a snack, and something to pass the time as you decide what to munch on, and enjoy your choice on-board. Complimentary meals are obviously a bonus, but most of us are fine paying the slightly steep prices for our on-board snack of choice - on budget airlines especially. However, since UK airline-giant British Airways scrapped their complimentary service for short haul flights in January, they’re under fire again in the food department. Dissatisfied customers have taken to Twitter to share their anger and upset, due to the lack of food available to purchase on recent flights. Reports of having no food left halfway down the carriage and many passengers going without are pouring in - the problems occurring on a number of recent flights of fewer than five hours duration. Delayed @British_Airways and once again no food left on trolly after about row 12. This new 'system' isn't working. The Daily Mail also reports that last week there were only 3 remaining sandwiches for 110 unfed passengers on a flight from Austria to London. The decision to charge for short-haul refreshments has resulted in providing sandwiches, salads, drinks, and savoury and sweet snacks, courtesy of British-favourite retailer Marks & Spencer. However many are underwhelmed by the selection available, and the price tags attached. Sandwiches and salads range from £3-£4.75, with a £7.55 sandwich deal available also – bit steep compared to your regular supermarket meal deal, but for airline prices, they’re pretty typical. Despite not costing an arm and a leg, the charging-for-food approach isn’t going down well with loyal BA customers, after previously enjoying complimentary snacks on flights, costing the same fare, which is understandable. Along with the complaints of lack of food, there’s also been outrage due to lack of loo roll provided on the airline’s flights also. The Evening Standard reports that a flight from Gatwick to Barbados was grounded for more than five hours at the start of the month, due to lack of toilet roll. 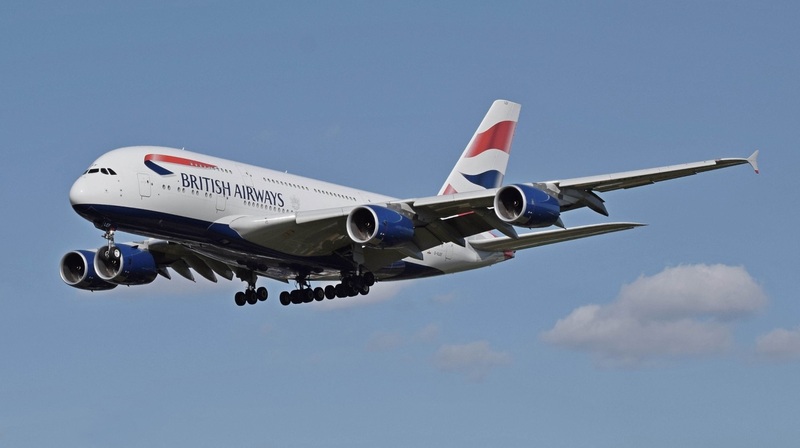 A spokeswomen told the Standard that British Airways ‘regularly adjust stock levels’, but if you take to Twitter and have a read through the flood of complaints, that statement is quite difficult to believe at the moment.